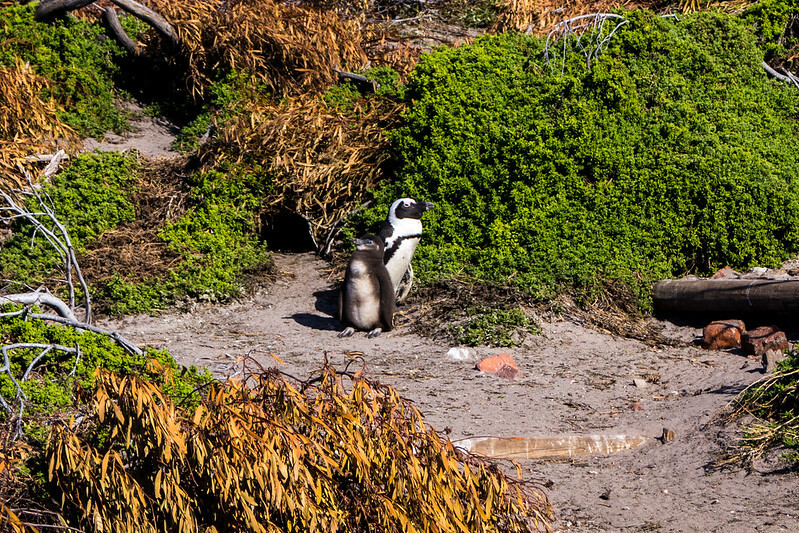 Around The World In 21 Days: Exploring Cape Town + Penguins! Cape Town, I barely had enough time to visit you. As I touched in my previous post about my stay at the Westin Cape Town, the ~24 hours that I had in the city were barely enough to dig deeper than surface. So many sights, and not anywhere near enough time to visit them all. As such, due to my short time here, I missed out on what I think people will tell you are essential places to visit – like Robben Island. In fact, I had planned on being able to visit there as well as spending more time at Table Mountain, but back-tracking in the morning to the East to visit something else out, kinda threw some of my plans out the window. Arriving in the evening to the Westin, I was equal parts tired, hungry, and ready to explore. 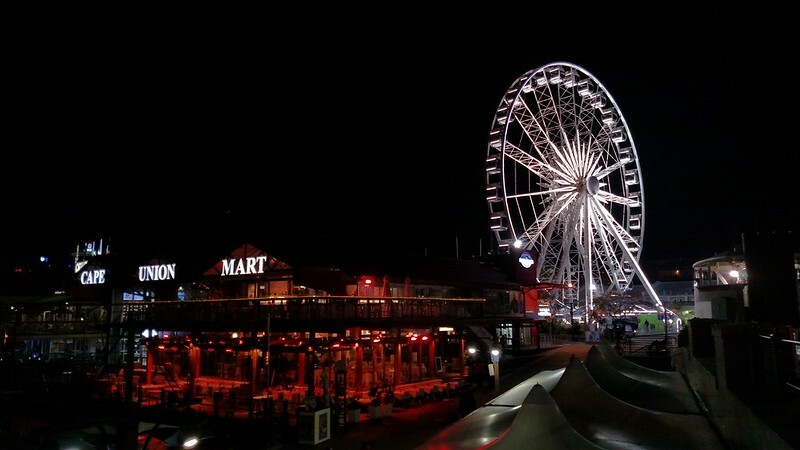 Seeing as I didn’t have a good lay of the land from not just having time to explore nor did I do much research in advance, I figured my best bet would be to head towards the V&A Waterfront for dinner, drinks, and whatever else. Instead of having the hotel hail a cab, like in Johannesburg, I used Uber to pick me up and take me the mile or two. Sure, I could have walked it, but what can I say, I just wanted to get my evening started! 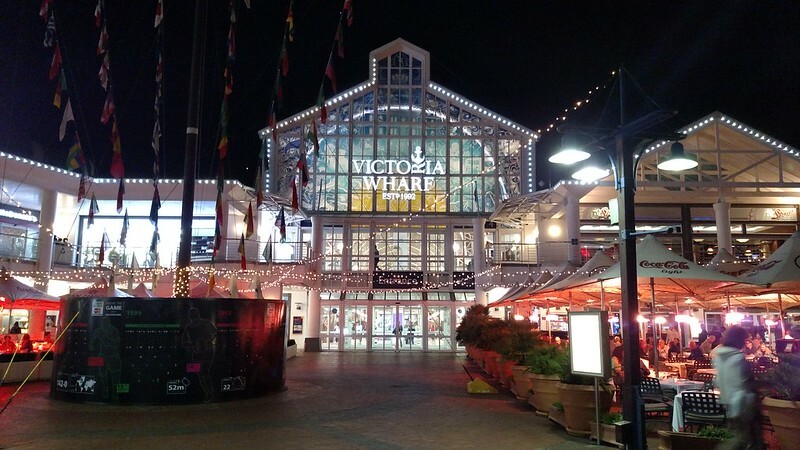 Upon arrving, I spent the first bit just exploring the area – it’s really more or less a waterfront shopping center, but there are plenty of variety of places to eat, both indoors and out. I walked, and walked, and walked, and almost a little bit felt like I was back in Sydney – it reminded me a little bit of the area around Circular Quay. Eventually after enough window shopping, menu-looking, and people watching, I settled on Karibu, as it was labeled as “South African Dining”. Considering that most of what I had ate thus far on this leg was probably far from local cuisine/style, I figured this might give me some options…and really the prices were pretty good. I mean, you’re in the touristy area, and this seemed like a nice enough restaurant, but I got out of there for about $35 according to my AMEX statement! 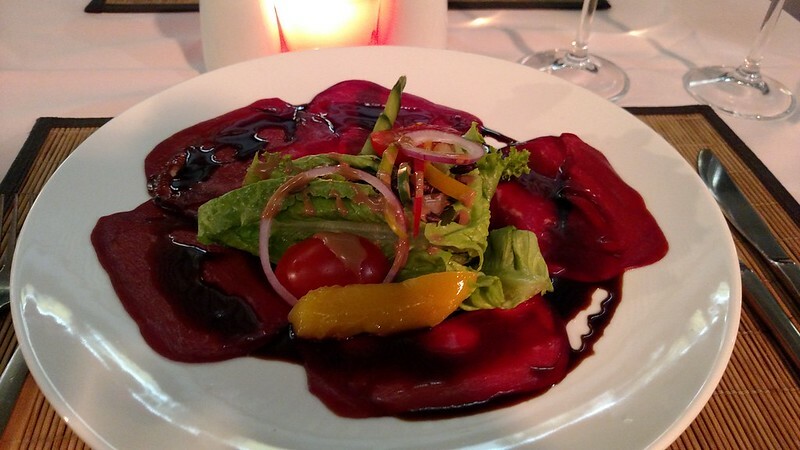 That being said, I had pretty sure two glasses of a South Africa wine, the springbok carpaccio as a starter, and the springbok shank. I didn’t really intend to order two Springbok dishes, but it wound up happening. I probably should have tried another meat, but in the end both were pretty good. The outdoor seating was nice (heaters were present to keep you warm), and service was attentive. Can’t ask for more than that! Odds are that if you know me in person, you know that penguins are kinda my favorite animal. And, if you remember last year when I visited Ushuaia, I kinda flipped out when my three-hour boat tour encountered a group of penguins in the water while leaving the harbor. 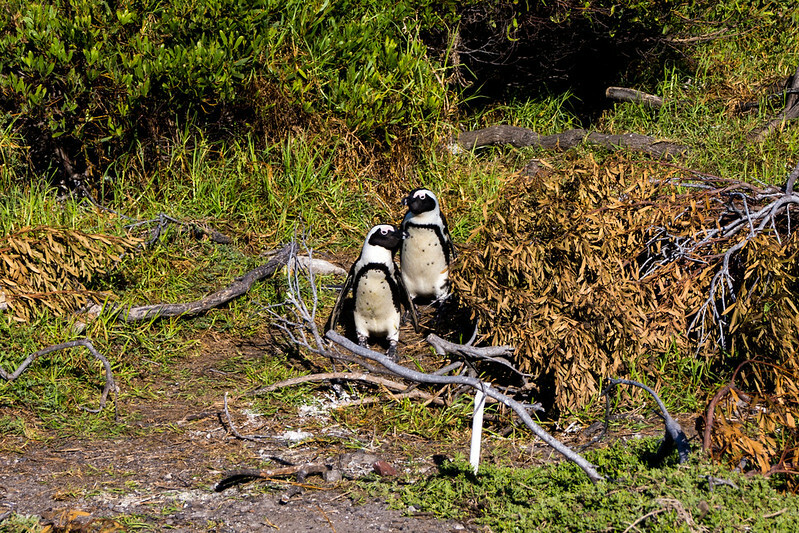 Luckily, South Africa happens to be home to the African Penguin and there are a few colonies in the Cape Town area. 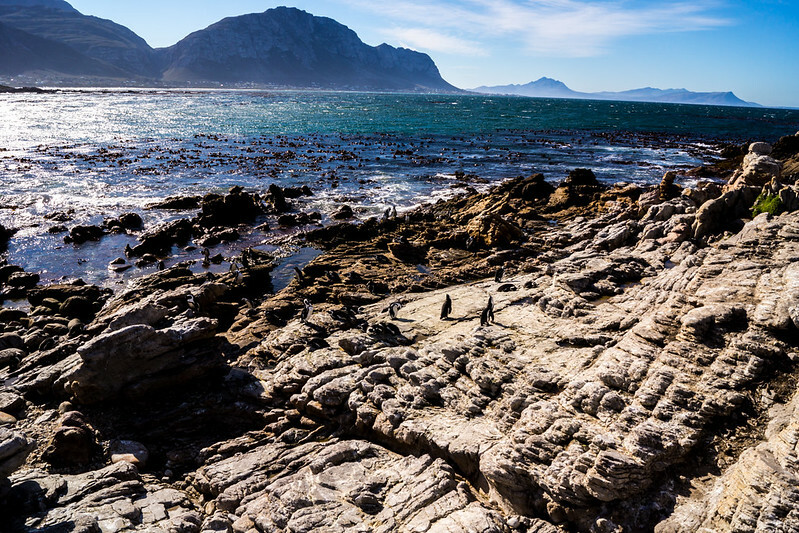 The most popular one is at Boulders Beach, which is also the closest one to Cape Town city center. This also means plenty of tourists, but supposedly you can go on the beach and “swim with the penguins.” That is not what I opted for. 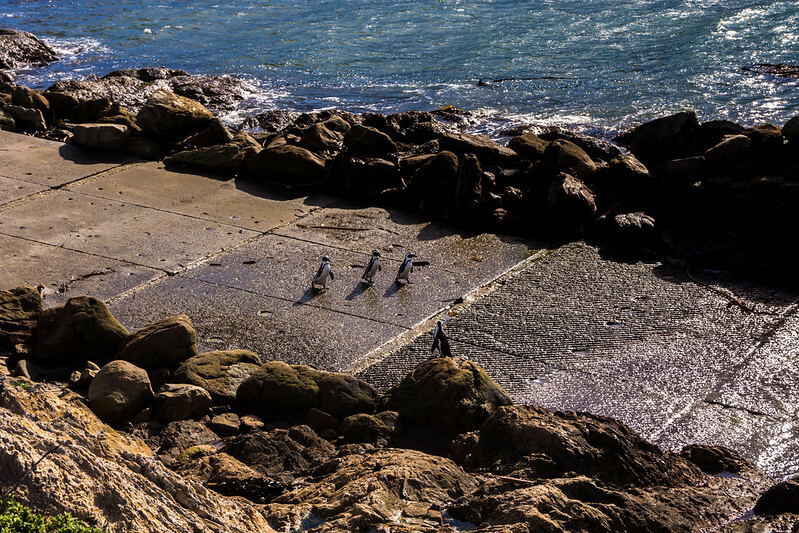 I headed back eastwards to Betty’s Bay (~100km from Cape Town’s center), which is less visited and provides raised walkways over the rocks so that one can get close to the penguins without interrupting their habitat too much. 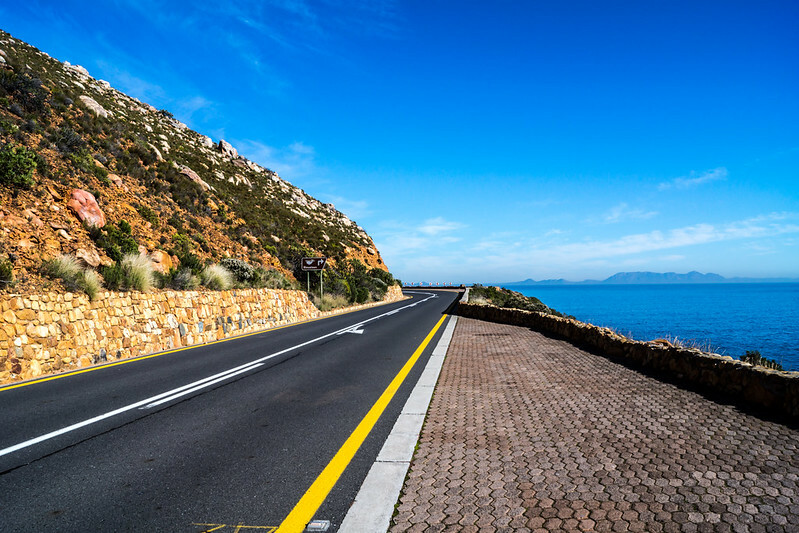 Thankfully, once you hit Betty’s Bay, which is a small almost entirely residential community it seemed, there will be small signs pointing you in the directions of the penguin colony and the Stony Point Nature Reserve. It’s easy enough to follow and you’ll reach a small parking lot. Thankfully, with it being the winter and being further out from Cape Town meant that there were only a few others here. And one of the groups that was here was actually a film crew (for what, who knows, but they had quite the setup). There’s a small fee that one pays before you can enter the area of the rocks where the colony is. This is a small nature reserve run by the Western Cape Government, but the fee is very reasonable at R10 for adults and kids. Once you pay, feel free to walk the boardwalks and take as many pictures of penguins as you possibly can and watch them! I won’t lie, I got a lot of enjoyment out of this, especially with only a few others there doing the same thing! 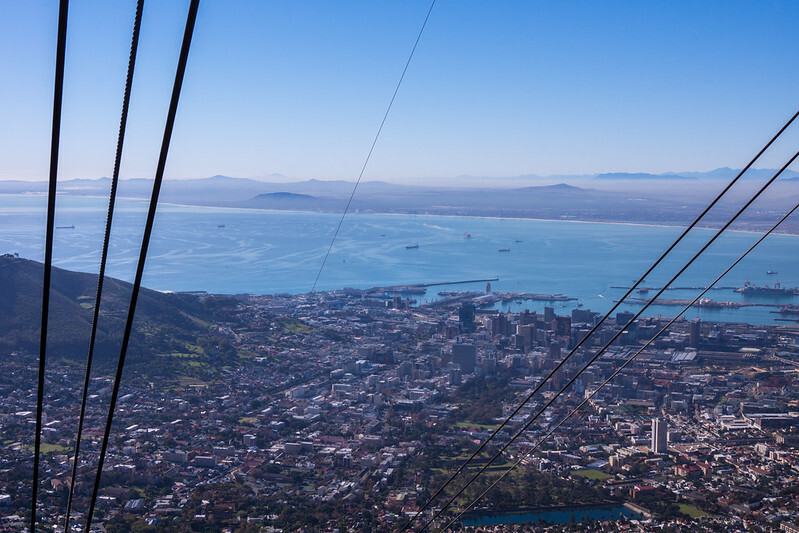 The only downside is that since I had still wanted to go to Table Mountain before I left on my flight that evening meant that I didn’t have much time to hang around and fully take it in. 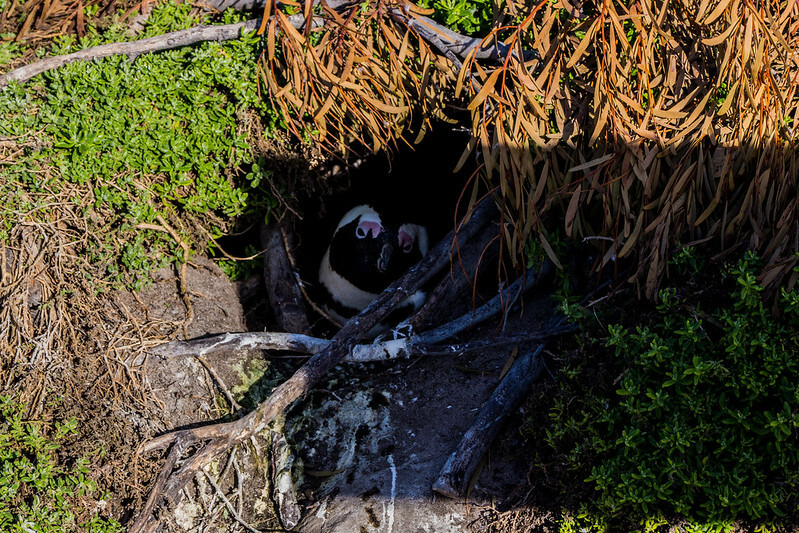 If I could have, I probably would have hung around the area for a few hours and looking for spots outside the main colony where I could have gotten up and close with more penguins. However, it wasn’t meant to be, so it was back in the car to head back into the city. 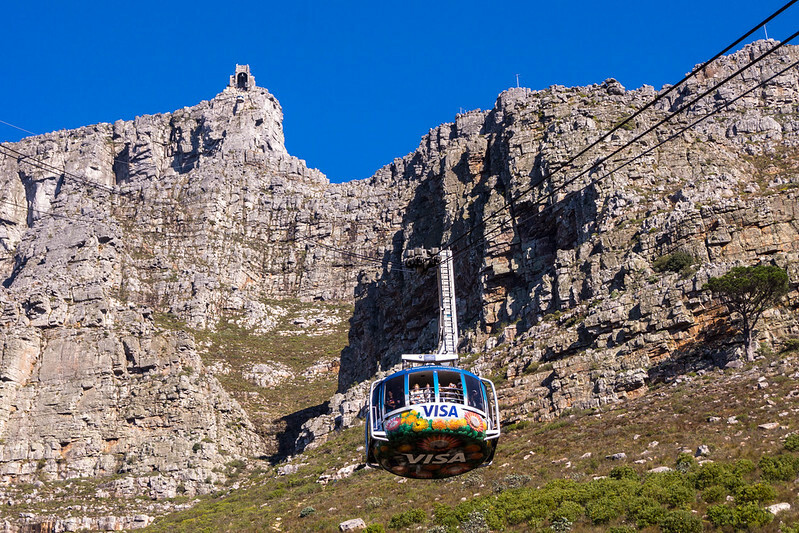 It’s probably the most iconic landmark of Cape Town, but that’s just because it towers over the city. Getting there though is very easy…just follow the signs! With it being such a visited landmark, road signage is very good if you’re driving it appeared that there were options to get to the main cable car station via public transit or tour bus as well. Parking can be a little bit interesting as there isn’t a large parking lot, so you’ll probably park along the main road that leads to the cable car. 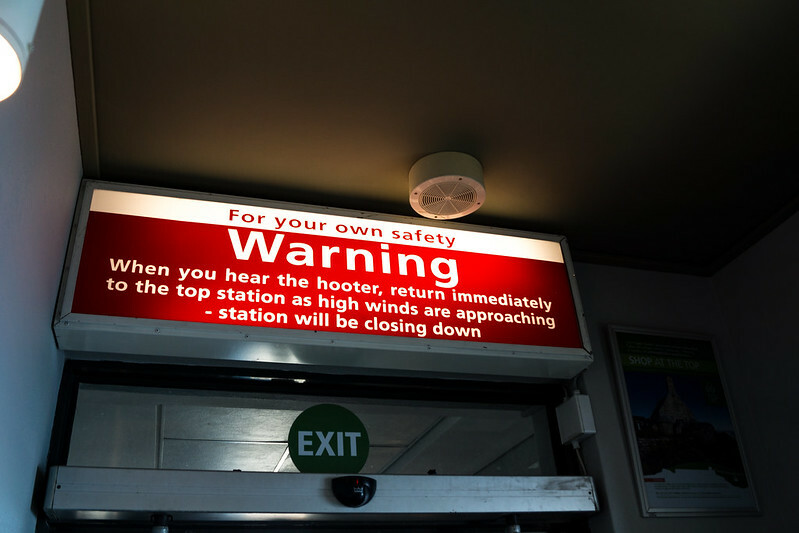 Like many places in South Africa, there will be an attendant who will keep an eye on your car while you are away, and as such it is customary to provide a tip for this service. Thankfully, again being that this was not the peak tourist season, there was no line to purchase a ticket and the only wait I encountered was for the cable car to come back down from the top of the mountain. There were other tourists, but the good thing is that everyone was able to be able to look out the windows as we ascended to the top of the mountain. Also, one plus that I think is great as it keeps from anyone being able to “hog the window” with the best view is that the interior of the car rotates 360-degrees. This ensures that no matter where you are standing, you’ll get your opportunity to get a good view. 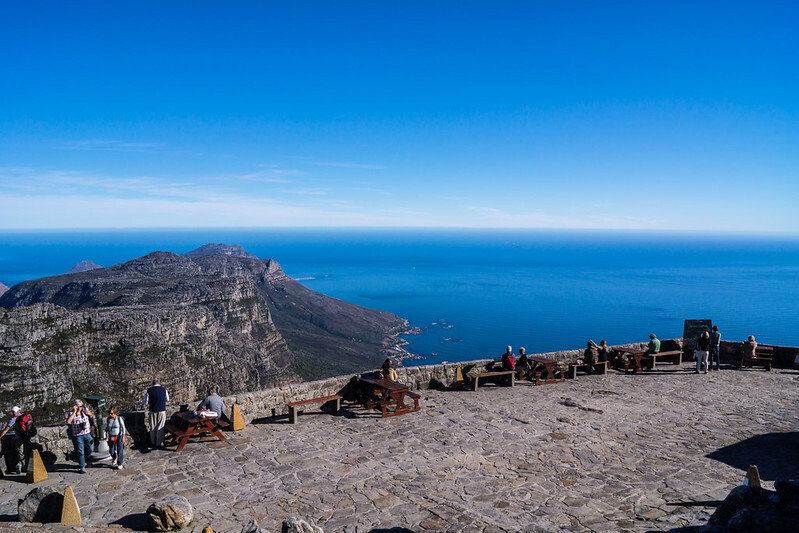 Once you reach the top, you exit the cable car station and can then proceed to the cafe/restaurant, gift shop and the large outdoor patio/seating area, or you can start roaming about the top of the mountain. There are paths everywhere across the mountain top and plenty of spots that provide you opportunities to look out in all directions! 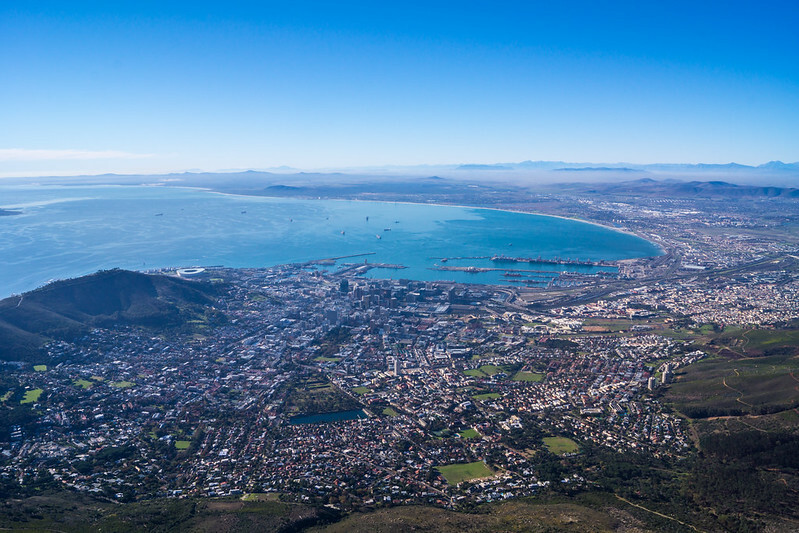 The view of Cape Town are great, and given the weather on the day I was there, it was just absolutely phenomenal! I spent over an hour exploring the trails and the views (and getting close up to some rock ledges!). I also had a grabbed a small meal at the cafe and enjoyed eating a slice of pizza and drinking a beer with the awesome view looking out to the ocean. 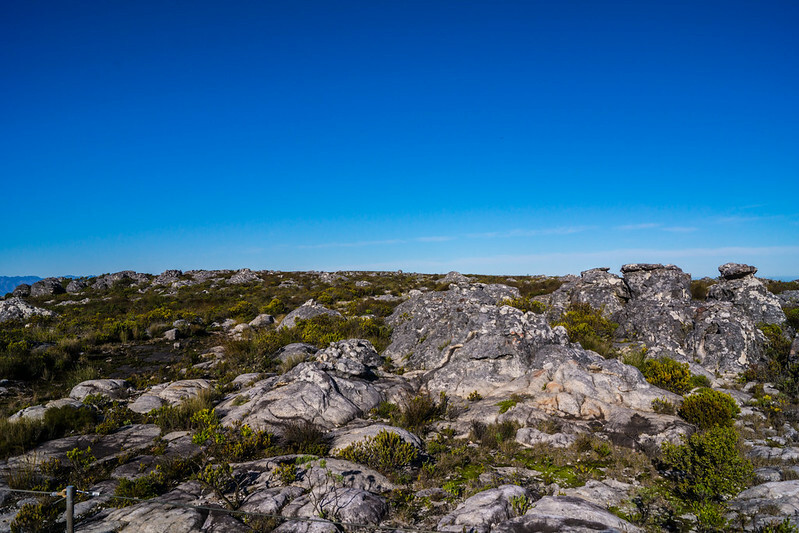 Just In Case You Wondered Why It’s Called Table Mountain – It’s Very Flat! 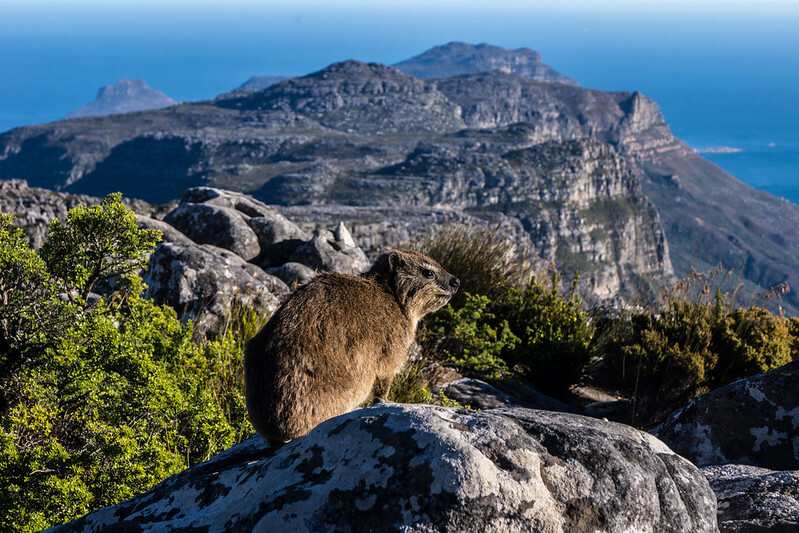 I Later Learned That This Majestic Mountain Rat Is A Hyrax (Or Also Known As a Dassie In Afrikaans). Unfortunately, though due to time constraints, I was not able to do what I had planned on doing – hiking back down the mountain back to my car. I felt like I would want to budget a few hours for that, but at this point it was mid-afternoon and I still needed to get back to the Westin to gather up my bags and then make my way to the airport for my flight that evening. Well, Cape Town, you managed to be a very good host for my very short stay. The weather was incredibly fantastic, the people friendly, and the traffic not that bad (well, until I decided I had to head to the airport!). It’s a great shame that I didn’t have that much time to spend here, which is totally my own fault – I could have added a few days to my trip for sure. 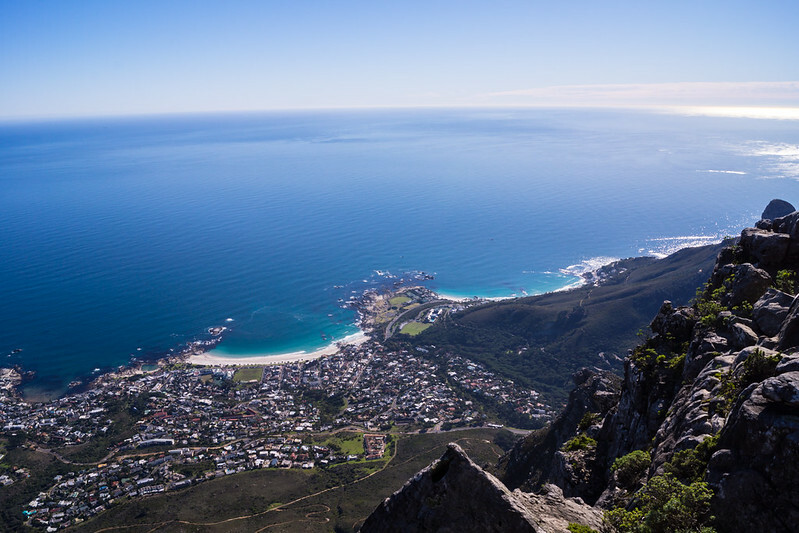 You see, I think if I had spent a few days here Cape Town would easily be on my list of favorite cities in the world. There was a certain atmosphere that was fantastic and a good deal of history as well. That being said, I by no means had a terrible time in Cape Town; I think it just means that I need to make it back to South Africa again in the near future. 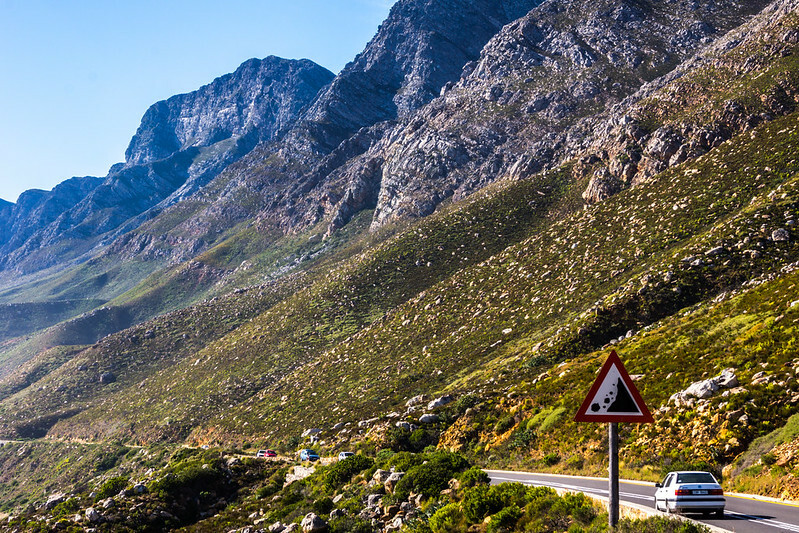 It would be good for me to spend time in Cape Town as well as the Johannesburg area. While I flew back to Johannesburg at the end of my day in Cape Town, I stayed at an airport hotel before catching my flight to Nairobi and Dubai the next morning. Add on that my one night in Johannesburg, although I stayed in Sandton, due to flight times there wasn’t really any time to do anything at all. 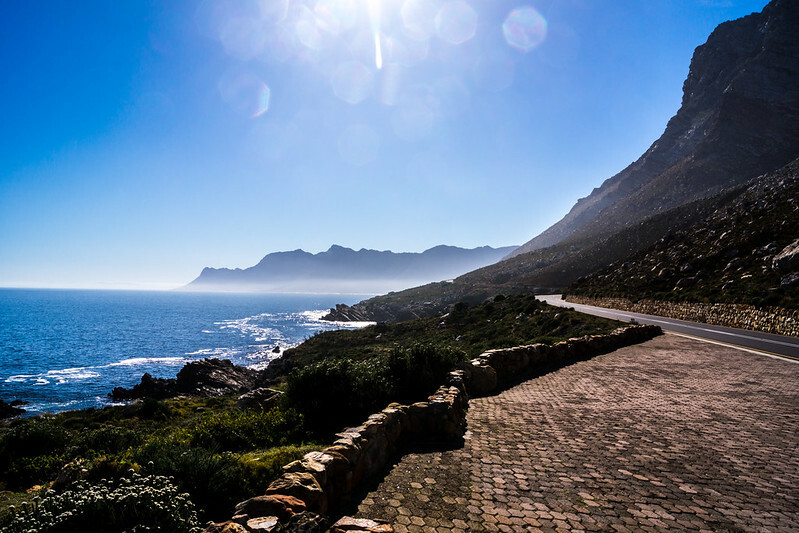 Between these two whirlwind stops and everything else that I did in South Africa, despite being here longer than any other leg of my RTW, it almost seemed to go by the quickest being always on the go. There was only one day that I sat still in Knysna; every other day was driving or flying somewhere. So, despite my 6 days in the country, I really could have spent two weeks and had a much more relaxed time. Do I regret that I didn’t give myself that much time to go everywhere that I visited on this leg? By no means! What I think it did though was give me all the better reason to make my way back here in the next several years and spend a proper vacation in this country. This entry was posted in Africa, RTW, South Africa, Travel, Trip Report. Bookmark the permalink. Follow any comments here with the RSS feed for this post. Post a comment or leave a trackback: Trackback URL.